When Katharine Bronwen and Stan Dean were looking for their dream land in Southern Oregon, conservation was already a high priority. Once they found a piece of property in the Colestin Valley that fit the bill, the landowners reached out to SOLC. “We knew we wanted to put a conservation easement on the property from the beginning,” reflected Stan. Over the course of almost two years, SOLC worked together with the landowners to develop a conservation easement that works for the property and also meets Katharine and Stan’s long-term goals. We are proud to say, “We did it!” Thanks to Katharine and Stan, we are honored to add their 160-acre property to our SOLC family of protected lands. The owners’ love of the property is apparent in how well they care for the land. 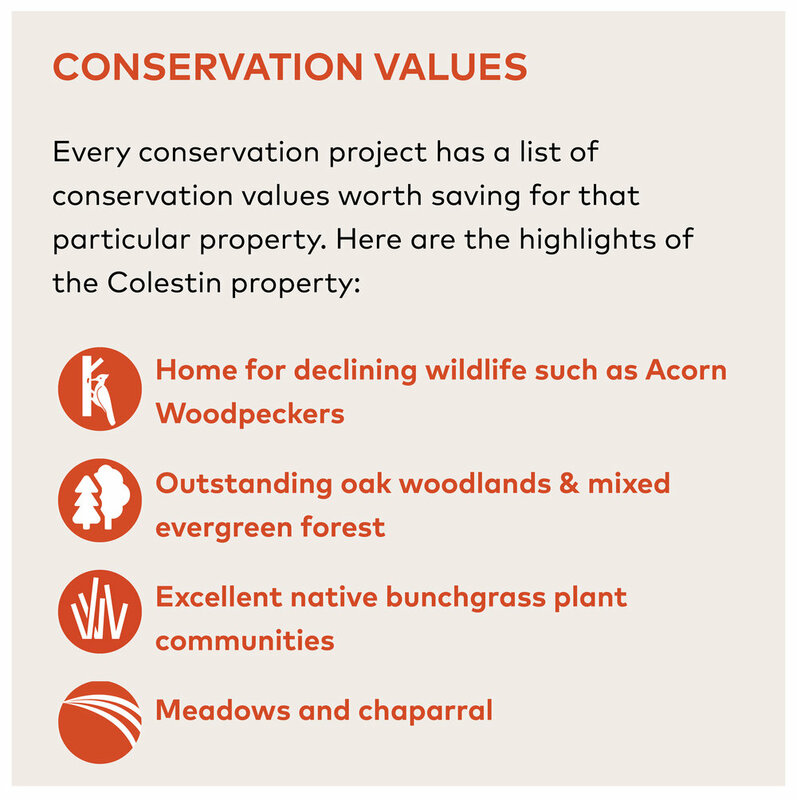 Thinking back, Stan recalled, “Many areas on the property were full of weeds such as starthistle, but now it looks so much better.” The property, located in one of the most important wildlife corridors in Oregon, features high-quality oak woodlands. It supports special status plants and animals such as golden triteleia, Ashland thistle, and Pacific fisher. Importantly, conservation of this property adds to the lands that are already protected in the SOLC Colestin-Siskiyou Summit Focus Area. In total, we have protected 2,035 acres in the focus area because of thoughtful landowners like Katharine and Stan. For them, knowing that their property plays a big role in the larger conservation effort of this rich, biodiverse region, adds to the value of leaving a personal and permanent land legacy.